Continue reading "St. James Roman Catholic Church"
Co-Founder of the Gaelic League Fr. O'Growney took a long journey back to Ireland four years after his death in Los Angeles. A brief look at some elements of Athboy in the 1820s and 30s, Mostly, it's many publicans and one renegade priest. We take a look at the programme for a 1945 pantomime staged in the town which was produced by a man with a mysterious name. These postcards show us that while communication has sped up over the last century, the topics of conversation haven't changed. 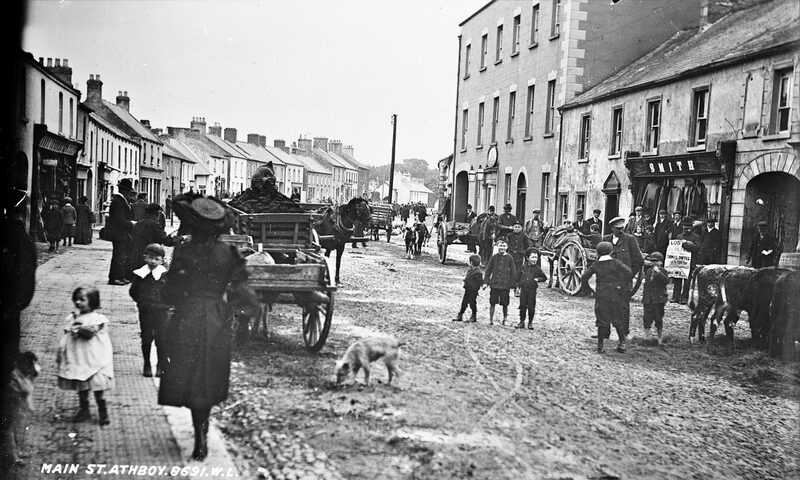 In 1909, townspeople of Athboy made a trip to Dublin so that they could become the owners of their own homes and businesses.